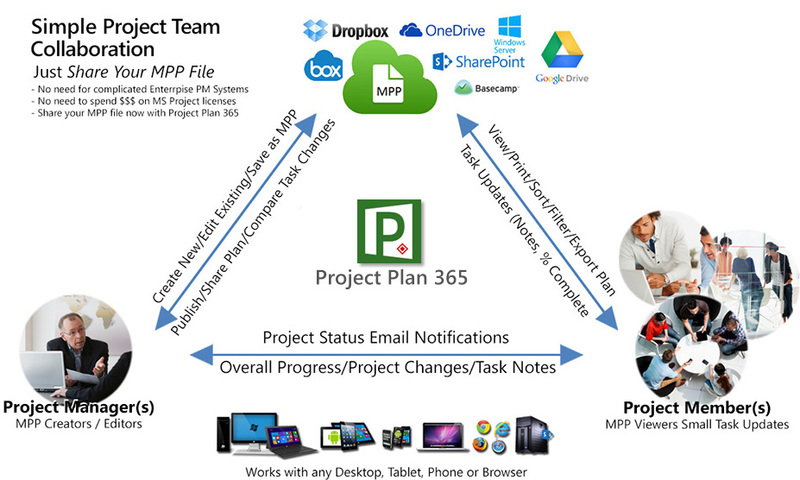 TIP: If you're looking for how to open a mpp file, see Get Started with Project Plan 365. Project Viewer 365 has cloud based integration with Google Drive, OneDrive, Box, Dropbox, and SharePoint. Open and share your project file with other team members.